As a transportation operator we have to be aware of our responsibility regarding the environment. We know that there are no flowers coming out of our trucks. Therefore we do anything we can in order to save nature: we use sensible alternative energy sources, use the most environmentally friendly vehicles and support innovative concepts. 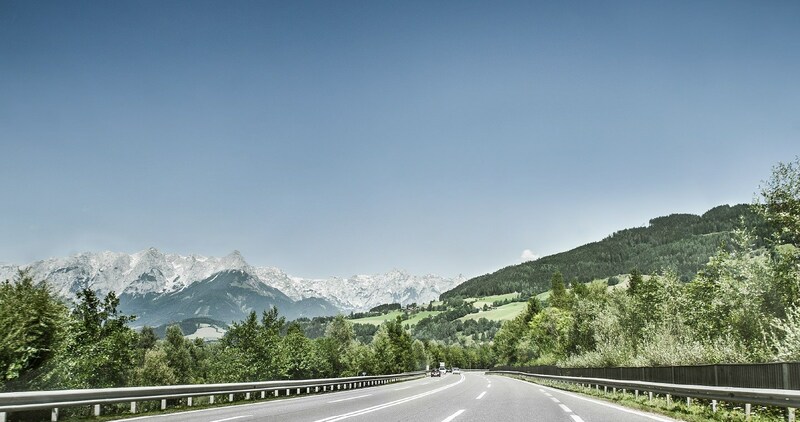 In order to keep the fuel consumption, and thereby the CO2 emissions at a minimum, we offer our drivers regularely courses for ecological driving styles. This way we could permanently reduce the fuel consumption of our fleet. Responsible for the environment for several years now we push for the use of alternative fuels. Where possible we use vegetable oil, BTL as well as biodiesel. We don’t grind to a halt: in order to minimize hazardous substances in our entire area of operations, we permanently control our internal processes, activities and decisions. Since 2006 we are a member of Klima:aktiv, an environmental initiative from the Federal Ministry of Environment.